Inspired by the dry snow of the Colorado Rockies, the San Juan Jacket is the weather-shielding soft shell you've been looking to add to your alpine collection. 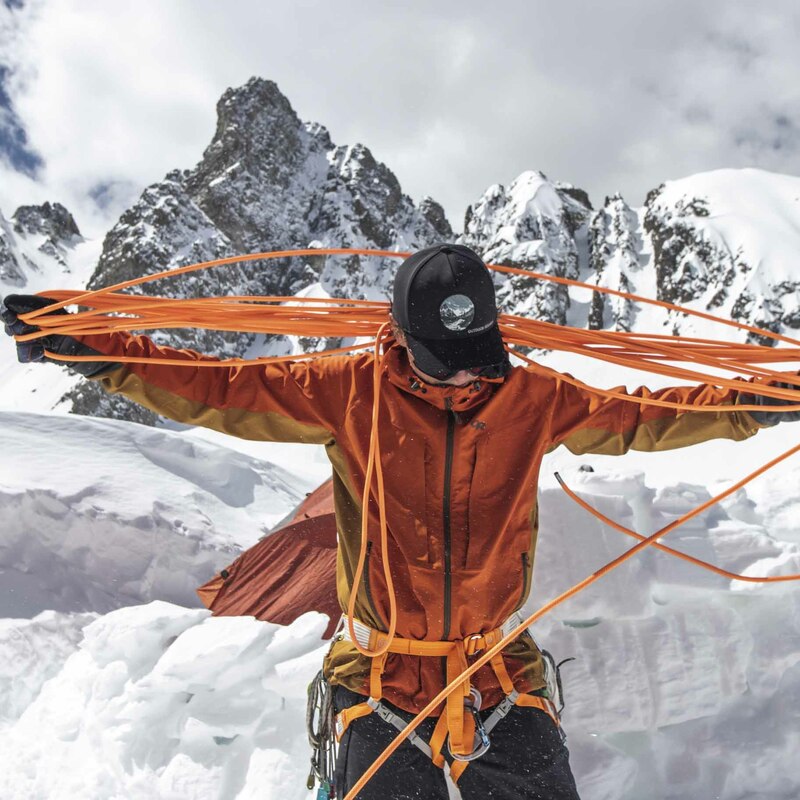 A simple, streamlined 100% polyester 75D double weave fabric gives you the weather resistance, breathability, and movement-mirroring stretch you need to excel in extended ski tours, climbs, and alpine ascents that demand your highest level of exertion. 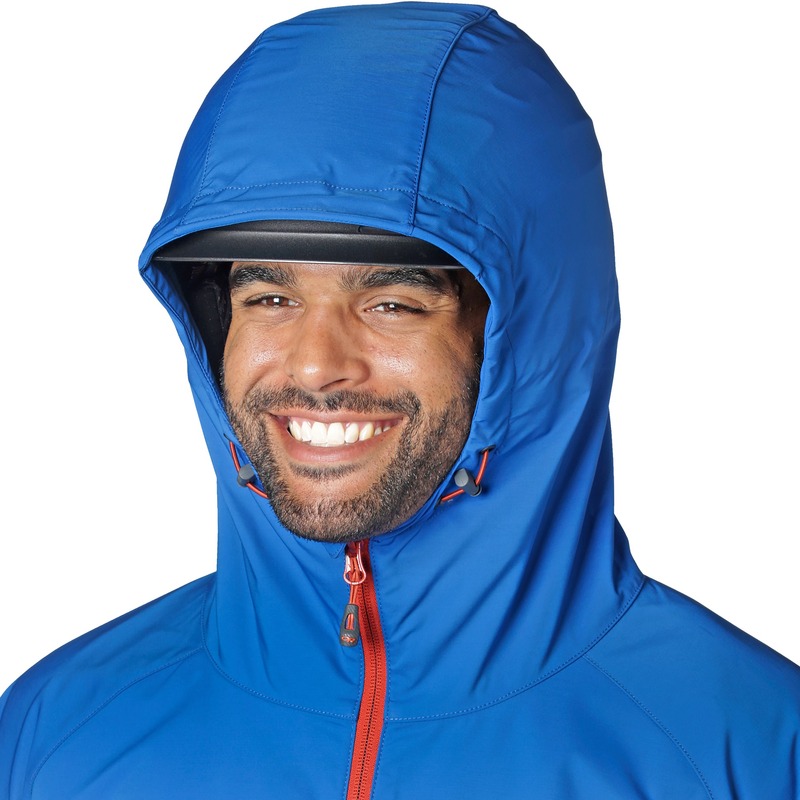 Add to that: A fully adjustable hood that fits over your ski helmet, internal Shove-It™ pockets to stash skins and keep gear from freezing, and elastic cuffs and hem that trap in heat and keep out the cold. 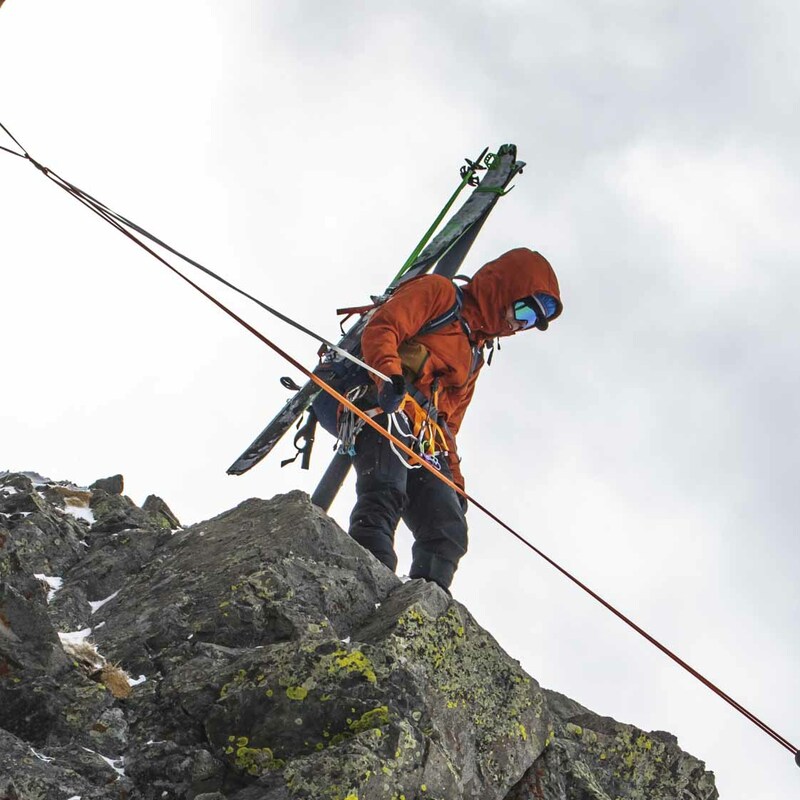 The San Juan Jacket is your best bet for versatile functionality in the alpine. Everyday use, hiking. Great for shoulder-season changing weather. Love this jacket mostly because it is highly breatheable. Awesome for sweaty winter activities! 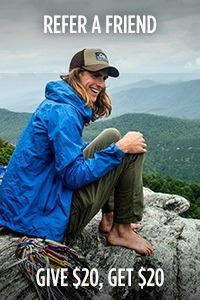 The perfect top layer for my resort or backcountry snowboarding adventures. 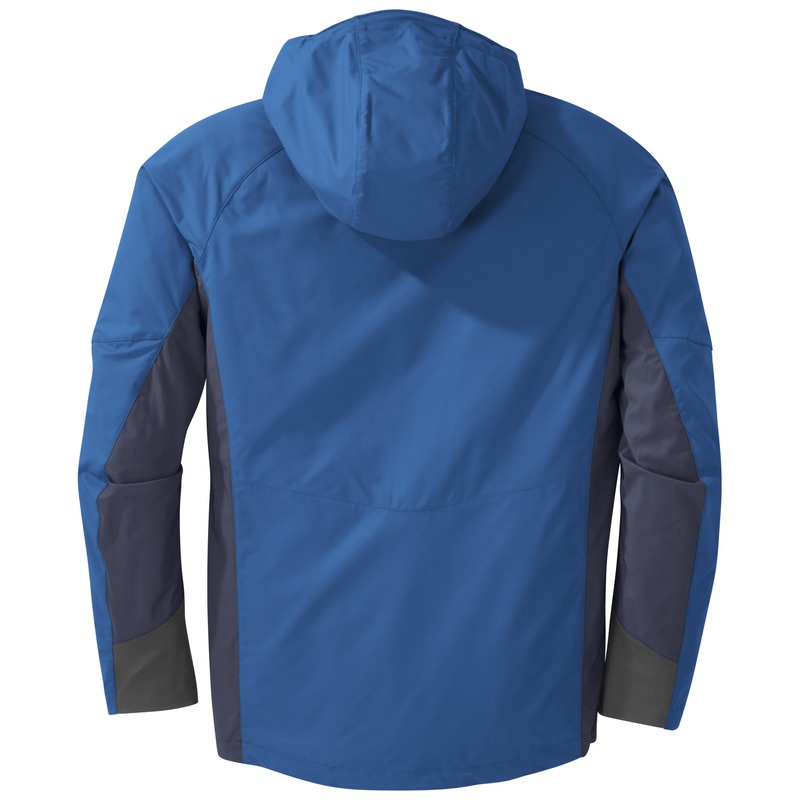 Nice and windproof, plus easy to layer with, comfortable, and durable. I took this jacket on 5 ski touring day trips and a 4 day day ski touring trip and it performs really well in the cold. 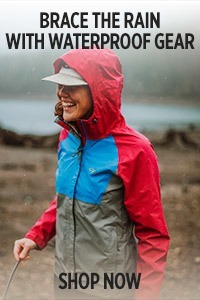 Dry and cold conditions (about -10 or lower) is ideal for this jacket because it is not that water resistant but it still works great on a warmer day too. 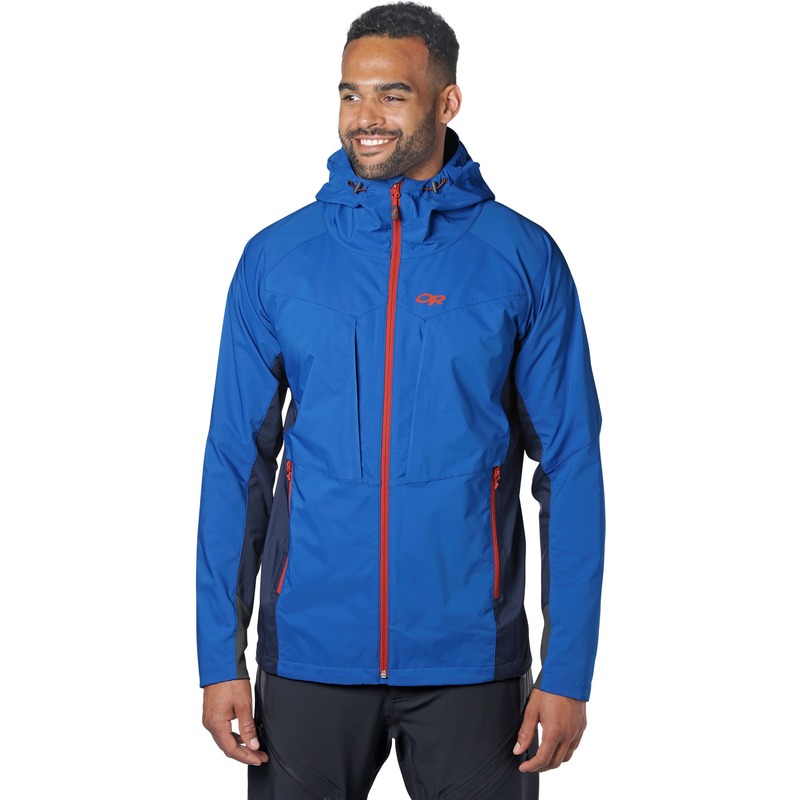 In wet snow or wet conditions it soaks through fairly quick but its not meant to be waterproof and it still performs well. 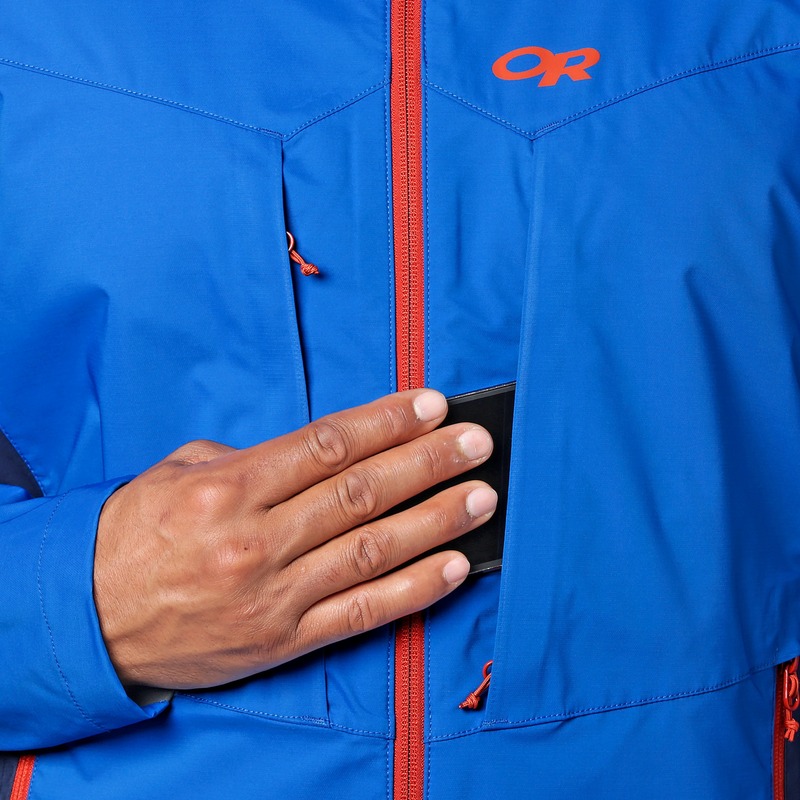 A great softshell that is very versatile and durable. 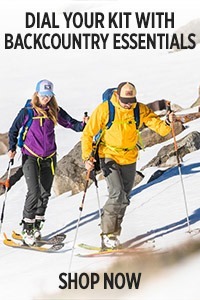 As a part-time ski instructor, I was looking for a shell jacket for those warmer days on the mountain. I have half a dozen OR pieces that I wear a lot; I will not add this to my collection. I'm 5' 10" and 155 lbs with regular sized arms and shoulders. I tried a medium and large. Overall the medium fit was OK except in the arms and shoulders, where the fit was overly tight and restrictive while wearing only a long-sleeve shirt underneath. The large provided a touch more room in the arms and shoulders, but was too long in the arms and torso. I did not wear the item outside. 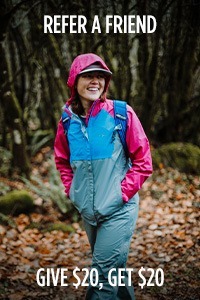 I cannot see an occasion when this jacket would be appropriate to take in the backcountry. If the weather is cold enough for precipitation to be light and dry, then you'd likely want to be wearing layers underneath, at least when you stop moving for a snack. With this piece, insulating layers would likely need to be worn outside the shell instead of under. Even in dry snow, it is generally best practice to wear the shell on the outside of insulating layers. I give this piece 3 stars because it shows promise of being a good soft shell if the fit is improved; and I'll give the benefit of the doubt because that I just failed to see the practically of this piece. 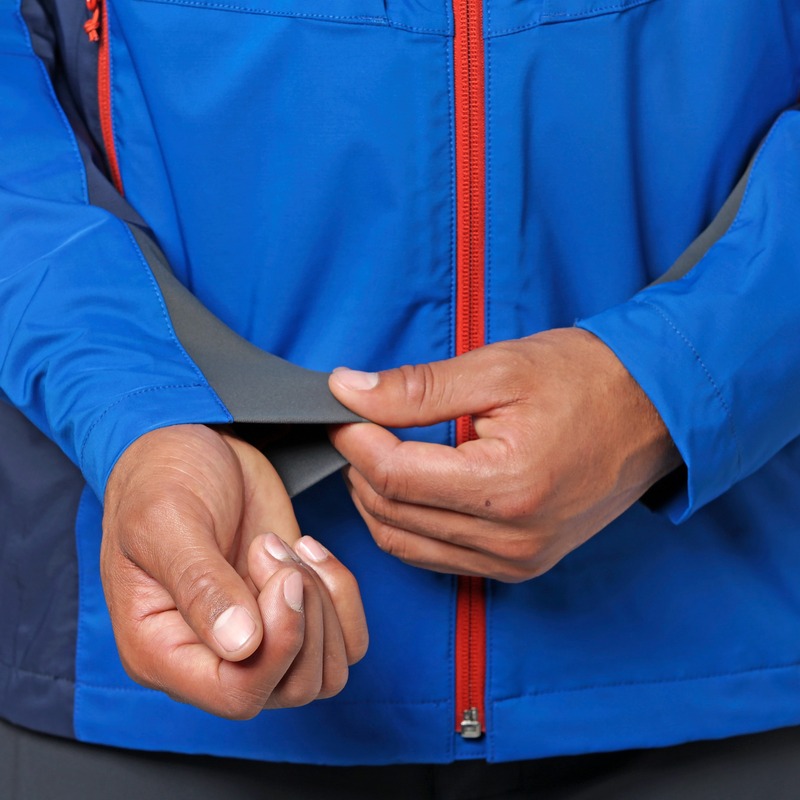 As a side note, the cuffs could be improved with a standard jacket cuff (tighten with Velcro strap) rather than a stretch material that feels quite absorbent. This jacket is sweet. It fits great; I'm 6'1 170 lbs and a large is roomy but not bulky. It breathes great, is lightweight, and tough as I have already had some brushes with trees and no tears or marks. I haven't had to deal with any heavy snow or rain(and I would go with a waterproof shell anyway), but in light blowing snow it has been great. Did I mention it breathes! 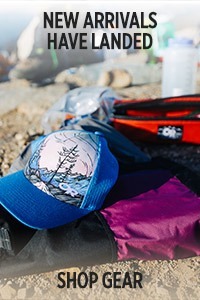 This is by far my go-to backcountry piece. 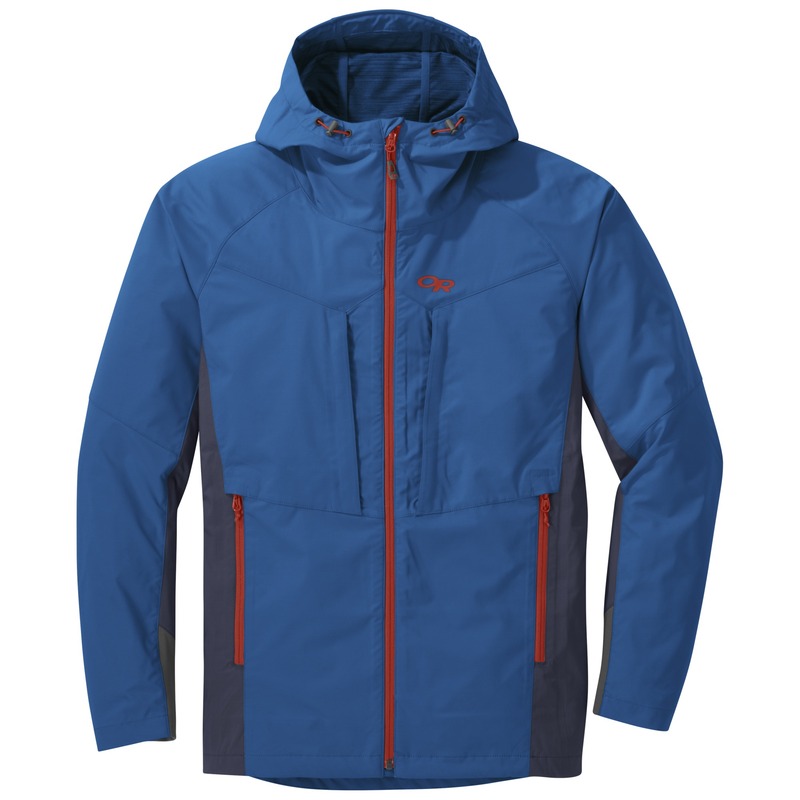 This jacket is a great ski jacket for clear days on the sloops. Its super light weight and breathable. If you add a thermal layer underneath ifs very warm, and seems to keep the wind out. I'm 5 11 and 180 lbs. 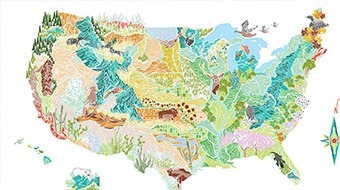 I found the large a bit too big, but could make it work. I now have a medium which is a better fit. I can wear a pretty thick under layer underneath with out sacrificing movement and comfort. The wrists are not adjustable, but they do have some stretch. 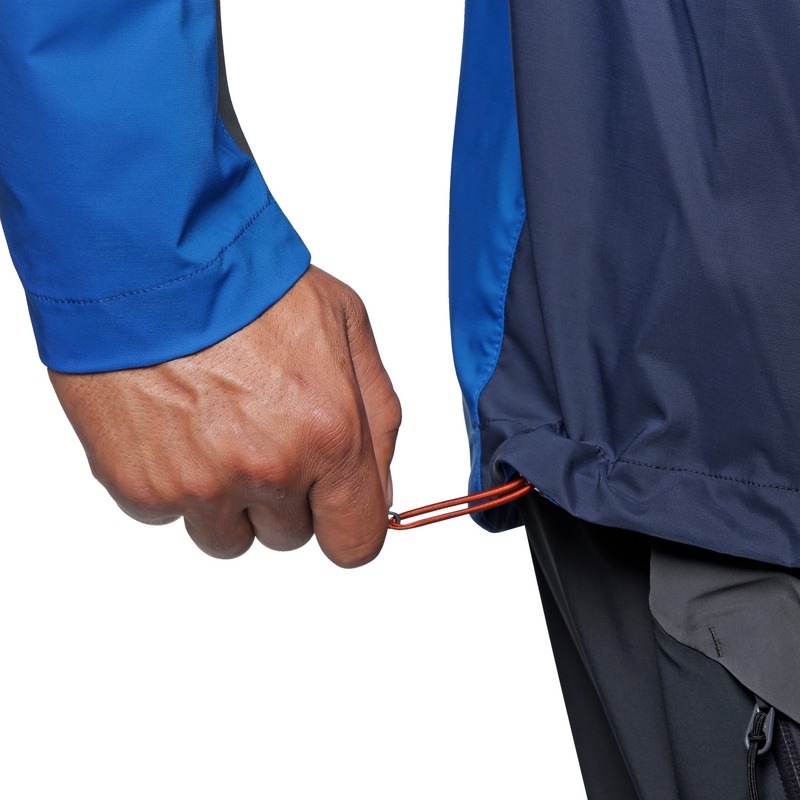 I wish it had two draw strings but only has one on one side of the coat. I use it for SAR and winter backcountry sports. The material is super durable (except under the arms, where focus is on durability). I'm not afraid to bushwack or climb with it. This is clearly an active layer with a trim fit: you'll be able to wear a decently thick merino shirt under that, but not much more. This is great as it avoid fabric bunching up and being in the way but will require that any additional laters go over it. The pockets are super functional, love it. 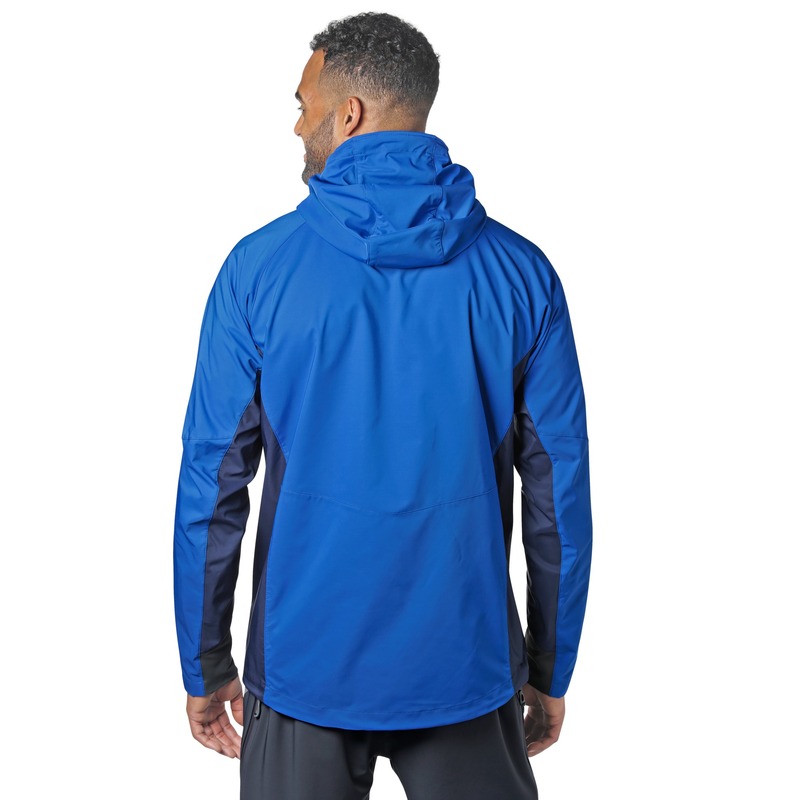 I with it had pit zips for additional breathability. 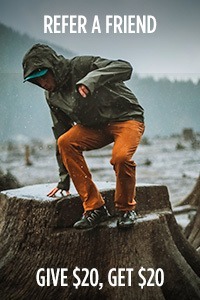 Solid softshell jacket for backcountry travel. 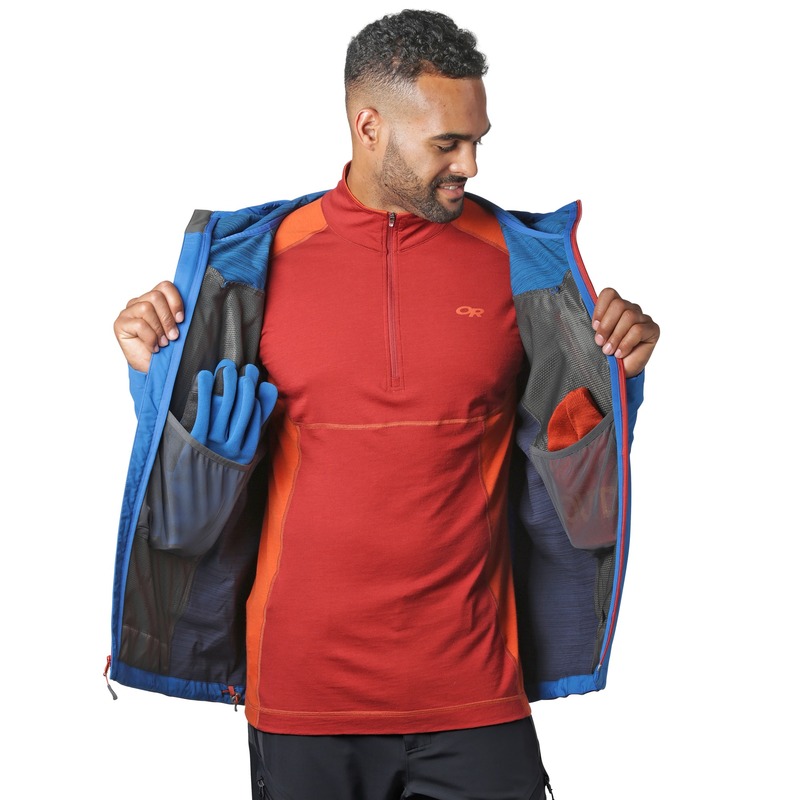 Blocks the wind and light snow while being breathable. 4 chest pockets is plenty. I like the cuffs. They hold snug to my wrist while wearing gloves. As a splitboarder, cuffs tend to slip up when I strap in. Not a problem with this jacket.